Winter weather in the Northwest is sloppy and cold. Along with the City of Seattle and King County, we’d like to urge you to take a few simple steps to safeguard your home and family from the elements AND save some money while you’re at it! Clear leaves and debris from drains and gutters on and around your home. Leaf buildup can cause damaging flood that come out of nowhere causing expensive damage. Don’t forget to check window wells, sliding door tracks, and downspouts. Ensure water drains away from your home. How far is far enough depends on several factors, but a good rule of thumb is to create a slope that carries the water downhill away from your home for at least three feet. Protect water pipes and faucets from freezing in exposed or unheated areas by wrapping them with tape and/or insulation. Check the insulation in attics crawl, spaces, or anywhere else that your home is vulnerable to the weather. Improper insulation can let the cold in and take your heating costs through the roof – literally! Caulk windows and install weather-stripping on doors … the tubular rubber kind with aluminum or wood backing is best bang for your buck. Programmable thermostats are much more accurate and allow you to heat your home when you’re in it and not when you’re not (without having to remember to turn it down as you madly dash out the door). Keep it at 68 degrees or lower when your home and between 60-62 degrees when you’re gone… lower than that and you can start to create mold issues. Visit the Take Winter By Storm website for more info on making your home safer and more efficient during these stormy months and Seattle City Light for some quick tips and to find out more about community conservation programs in Seattle. Many of our Seattle clients have been taking advantage of City Light’s rebate on energy audits. Let us know if you would like more information about energy audits or a referral for an auditor. From Thanksgiving to New Years Day, household waste in the United States increases by more than 25%. By buying locally used toys, families can reduce their travel fuel consumption and reduce their impact on our recycling and landfill centers. Buying quality used toys also saves families money, which helps in these tough economic times. Every dollar you spend with a local, independent business can generate two to four times more income, wealth and jobs for our community than a dollar spent elsewhere. A health benefit to buying used toys is that plastics and other toxins in the products have off-gassed already in another location and will not effect your children! For the Project-oriented family: Re-use building supply stores like ReStore and Second Use Seattle have lots of stuff to inspire a family project. Give it brilliance with recycled tile and glass from Bedrock Industries. Experiences! : the ballet, a show or season tickets at a local theater, kayaking, skating or other outdoor activities, lessons, restaurants, spa/massage, membership/subscription, the list goes on and on! Give and do good: Heifer International, Water 1st, Habitat for Humanity, The Krochet Kids, and Fair Trade Seattle all have retail items you can purchase that are not only great in and of themselves, but also do good! And if nothing else, Think Local! Local retailers are usually easy to spot – they have a more homey feel and often have much more character than chain-store counterparts. 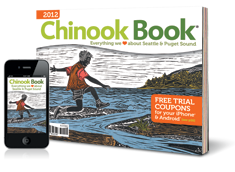 A great resource is Seattle Good Business Network‘s Think Local! directory. 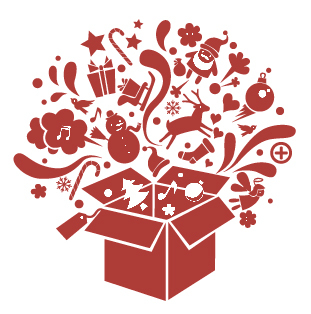 King County also has some great resources for greening your holidays and saving money here. We, your communities, and the world thank you! Many people have ideas about projects that they would like to complete in the new year. We all know how fast the holidays come and go and then we blink and spring is here and we rush to develop plans for summer. These next couple weeks are prime time to get the conversation rolling. Building and living sustainably is as much about thoughtful planning as it is healthy, conservative decisions. Make 2012 the year you work toward a more efficient and healthy home. We’d love to hear your dreams and ideas! Every second Tuesday Doug and Laura organize an Ask an Expert for the DIYer event at the West Seattle Tool Library. The venue provides the perfect opportunity for our community of DIYers to get together and share their stories of challenge and success, while drawing on local coaches in fields such as solar power, green building and design, sustainable living, and urban gardening. These DIY coaches are willing to answer any question you may have on your current projects, future plans, or anything else you’d like to discuss. Ask an Expert goes from 6-8pm so come join us on the upcoming dates: Dec. 8th, Jan 11th, and Feb 7th at the West Seattle Tool Library located at 4408 Delridge Way SW, Seattle, WA 98106. Click here for more information. Everyone is welcome to attend, and it’s totally FREE! 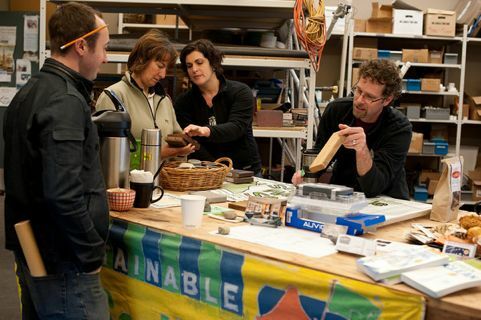 The West Seattle Tool Library hosts an extensive library of tools and a workshop accessible to all. They empower people to take change into their own hands through extensive scholarship possibilities and access to volunteer-organized forums for professionals and amateur builders alike (like the Ask an Expert event) to come together and share ideas and projects. The West Seattle Tool Library and all its activities are open to individuals in and outside the West Seattle neighborhood. If you have a project that you’d like to tackle and want more intensive or private consultations, Mighty House is set to help you make your vision a reality. We can help you save time and money and a lot of headache by consulting with you through the process of your DIY home improvement project. Click here for more information. The NW EcoBuilding Guild hosted their 10x10x10 Green Building Slam again in Sept 2011. It’s a high energy showcase of the ten most exciting, sustainable building projects around Seattle. This year’s event highlighted remarkable projects by top women green building professionals. We are grateful to Len at Pangeality Productions for recording the event so that this presentation could be put together to share with you. Hope you enjoy the show!